In 1988, I (Joshua) had given a lecture on the Crystal Skulls in the Chicago area, which was sponsored by my friend Bill Sawicki, who was the proprietor of the “Float Center” and one of the most gifted artists I know. I remember meeting a very special person at this presentation, a woman dressed up in Native American clothes but who had a special air about her. Her name was Mary Thunder, and since that day we have always kept in touch. Mary talked about “Max” at the presentation and shared with our group some of her experiences around this crystal skull. In 1983, Grandma Twylah Nitsch, a part of the Seneca Wolf Clan, had a vision while participating in a Sweat Lodge, to create a special place where a gathering of Peace Elders from around the world could be offered. A Peace Elder is a person who respects all people. Grandma Twylah shared this vision with Mary Thunder who took Grandma Twylah’s vision to heart and made this dream come true when she established Thunder Ranch, a spiritual center in Texas. Beginning in 1991, Thunder Ranch began to offer a yearly gathering for the peace elders, which they called the Wolf Song Gatherings. Indigenous Elders from all over the world did attend. In 1992, MAX, the Texas Crystal Skull was in attendance with JoAnn and Carl Parks. MAX was considered the oldest Peace Elder at Wolf Song II. For Mary and others at the gathering, it was an absolute joy to be in Max’s presence. Blue Star Productions is the company started by Mary Thunder and her husband Horse. Working with other specially trained people, they recorded the gathering in 1992 which resulted in the creation of a special video tape that included “Max”, the Texas Crystal Skull and events surrounding him. The video does a fine job of capturing the spirit of Wolf Song II, as well as sharing how “Max” participated in this special event. Also included were remarks by “Max”‘s keeper, JoAnn Parks, who was honored as a new Peace Elder. We highly recommend this tape to others, especially if you have not had a chance to experience “Max” before. One of the most important parts of this video is the interviews conducted with various elders, who come from many other cultures, who shared their perspective about what the crystal skulls are about. We found some of their insights very interesting as it confirmed some of the general accepted theories for the origin and creation of the crystal skulls that has been discovered by different researchers. In this section, please find a summary of comments made by various Peace Elders who were questioned by Blue Star Production about their feeling about what “Max”, the Texas Crystal Skull, represented to them. MARY THUNDER: Mary first saw “Max” in 1987. In the first hour of her vist, all she could do was cry, cry for joy to have an opportunity to be with this sacred artifact. “Max” makes sounds for her, lit up for her and sang to her during this time. Mary fast became close friends with JoAnn Parks, and “Max” participates in all the equinox ceremonies held on Thunder Ranch. All Mary feels she should do with “Max”, when he is on Thunder Ranch, is just walk with him and offer his presence to the four directions, to the up direction and down and share him towards the ‘Within Space’. MAX really does this ceremony himself. When Mary holds “Max” she says she feels as if NOTHING stands between her and the Creator, all time stops. While holding ‘Max’, sometimes she feels as if she is sixteen feet tall, very connected with spirit. “Max” is a Crystal Being. The Aborigines know about the (crystal)skulls. They know that at one time, thousands of years ago when the Earth was ongoing the shift, some of our planetary teachers came down in a crystal beam, and they became locked on the earth during this time. She personally receives information from a crystal being from the planets, who has been her teacher since the age of twelve. People are beginning to realize that there is a link between the crystals and the planetary helpers (ETs), here to help our world go through the current shift. The Ute still believe in the people from the Stars, the Star Nation, the people who came to Mother Earth (i.e. the Star People). The Ute believe that special objects like the crystal skull will be discoverd close to the time when the Star people will return to our world again because these beings are here to help hold back the destruction of the Mother Earth and keep humanity from destroying itself. Mr. Cantu stated that for his people the Crystal Skull is a personification of their teachings and sacred knowledge. He believes that MAX does not come from our world, that he was brought from another planet to help energize our world to be a better place to live. He also felt that from his experience of the energy connected with “Max”, that he broadcasts many visions which people can receive of potential futures. Mr. Perez believes that “Max” is a repository of information and knowledge that came from our ancestors, long ago, when they had great wisdom and the technological ability to tap into cosmic forces of which we have no comprehension about today. He believes that the ancestors left these storage spaces (the skulls) behind as to provide evidence of their existence and that we are very close to the time when the guardian energy of the skulls will begin to release the knowledge stored inside of them. Big Toe states that the crystal skulls were made by a society that lived in harmony, that lived very close to natural universal laws. The people who made the crystal skulls understood lasers and higher technology much better than we do today as we use our own advanced technology for destructive purposes. We can’t even imagine the level of which this society had attained. They received their knowledge of the cosmic laws from the Stars, because that is where we all originate from and who was responsible for constructing the crystal skulls as a reminder of our cosmic connection. 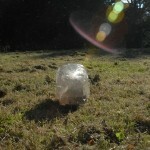 Maestro Tlakaelel stated that his people have a crystal skull in the city of Kenavacka. This skull was carved from black quartz crystal. He stated it takes many years to work and carve a crystal skull as it can not be done by a machine or the stone will shatter. His people know that the skulls containg great energy and that someday we will be able to fully utilize them for the projection of love and to improve our level of medicine to achieve perfect health. To the Aztec, the crystal skull is a representation of the Creator, which they call Tay-out. They believe when a person dies and leaves their body, they integrate into a great central area of energy which is Tay-out. Thus, the crystal skull is a physical reminder of the strength of Tay-out and that the energy of Tay-out represents everything that has existed, that currently exists and will exist in the future.